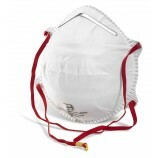 Respiratory protection is available in a variety of styles and comply with different EN standards from Portwest, Moldex, 3M and B-Brand. 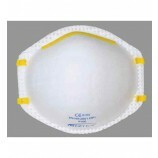 We stock disposable and semi-disposable cheap face masks to give a low cost solution to respiratory protection. 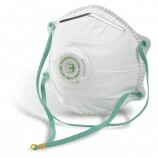 These start from nuisance dust masks, which are ideal for sweeping up and working with other non-toxic particles, right through to P3 and ABEK masks for use with some fairly serious chemicals, pesticides etc. 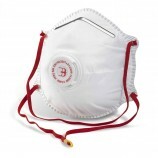 You can usually find recommendations for the type of respiratory protection you require on the label of the chemical you are using. 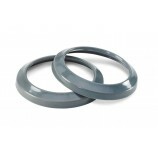 Alternatively, you should research the possible dangers during your risk assessments to identify the level of protection you require. 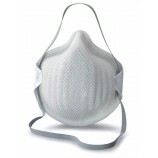 We then offer a choice of masks in each protection level. 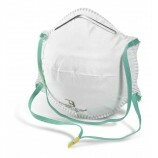 One of the most important things in choosing a face mask is user comfort - if the user won't wear it, then it doesn't really make much difference what level of respiratory protection it gives. 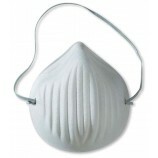 We stock big brands with high levels of user acceptance and many styles have exhalation valves which makes it more comfortable, particularly if the user has to exert themselves while wearing the mask.